The technical expert panel (TEP) has published a new summary report covering the Development and Maintenance of Quality Measures for Long-Term Care Hospital Quality Reporting Program. The new report related to a meeting of the TEP that was held on Tuesday, March 28, 2017 focusing on current LTCH QRP quality and resource use measures. The objective was to report on existing measures and to make recommendations for future measures. The new TEP Report can be accessed on the TEPs webpage. Quality Measure Development (QMD): Dual Enrollees, Managed Long-Term Services and Supports (MLTSS), and Medicaid Innovation Accelerator Program (IAP). The Centers for Medicare & Medicaid Services (CMS) has release new proposed regulations that would implement the first major rewrite of the long-term care Conditions of Participation in over 25 years. The proposed regulations were published on On July 13, 2015 in proposed form and are subject to a 60 day comment period before CMS issues them in final form. It is possible that CMS would revise the proposed rules based on input from the public duringthe comment period. By changing nursing home regulations, CMS intends to improve the quality of care and safety affecting long-term care residents. The proposed changes would implement a number of safeguards including some protections that were required under the Affordable Care Act. – increased focus on patients with dementia and prevention of elder abuse. – New rules regarding staffing decisions. – Rules that help assure that staff members have the right skill sets and competencies to provide person-centered care to residents. 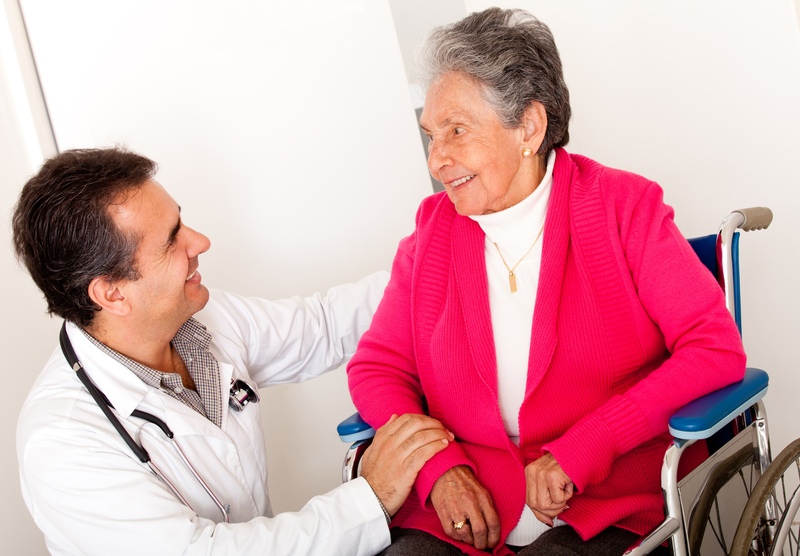 – Increased emphasis on resident preferences when developing care plans. – Increased authority of dietitians and therapy providers to write orders in their areas of expertise subject to physician delegatino and state law compliance. – Requiring greater food choice for residents. – Updating of infection prevention and control programs and establishment of new requirements for infection prevention and control. More details can be obtained by reviewing the proposed regulations. We will be issuing additional updates regarding topics that are covered in the proposed regulations as we review the proposal in greated depth. The Office of Inspector General posted its first advisory opinion of the year this past Tuesday. OIG Advisory Opinion No. 14-01 responds to a nonprofit senior housing and geriatric care provider’s question of whether it may pay an independent placement agency a fee for referring new residents to its facilities. Despite concerns that the arrangement could potentially generate prohibited remuneration under the anti-kickback statute, the OIG opinion states it would not impose sanctions in connection with the arrangement. The senior care provider operates 11 senior residential communities, two skilled nursing facilities, and a management company. The residential communities offer to their residents various services – including skilled nursing services (e.g. wound care) and help with daily living activities (e.g. housekeeping). A Medicaid program pays for services provided to residents in three of the residential communities. Other than this, the skilled nursing facilities are the only entities that provide federally reimbursed health care services to residents. Two of the residential communities pay an independent placement agency for referring new residents. The placement agency receives a fee for every referral – a percentage of the new resident’s charges for his or her initial month or two. The placement agency is prohibited from referring, and the residential communities are prohibited from accepting, residents who are known to rely on Medicaid, Medicare, or other state or federal funding. Neither of the residential communities provide services reimbursed by Medicare. The placement fee is calculated only considering initial rent and services. The contracts underlying the arrangement prohibit both placement and acceptance of potential residents who are known to rely on government funding for their health care. Neither of the residential communities using the referral arrangement provide services reimbursed by Medicare. The senior care provider does not track referrals or common residents or patients nor do they limit their residents’ choice of providers. Please feel free to contact John Fisher, CHC, CCEP, in the Ruder Ware Health Care Industry Focus Group for more information. ‘‘SEC. 1128I. ACCOUNTABILITY REQUIREMENTS FOR FACILITIES. ‘‘(2) a nursing facility (as defined in section 1919(a)). ‘‘(1) REQUIREMENT.—On or after the date that is 36 months after the date of the enactment of this section, a facility shall, with respect to the entity that operates the facility (in this subparagraph referred to as the ‘operating organization’ or ‘organization’), have in operation a compliance and ethics program that is effective in preventing and detecting criminal, civil, and administrative violations under this Act and in promoting quality of care consistent with regulations developed under paragraph (2). ‘‘(A) IN GENERAL.—Not later than the date that is 2 years after such date of the enactment, the Secretary, working jointly with the Inspector General of the Department of Health and Human Services, shall promulgate regulations for an effective compliance and ethics program for operating organizations, which may include a model compliance program. ‘‘(B) DESIGN OF REGULATIONS.—Such regulations with respect to specific elements or formality of a program shall, in the case of an organization that operates 5 or more facilities, vary with the size of the organization, such that larger organizations should have a more formal program and include established written policies defining the standards and procedures to be followed by its employees. Such requirements may specifically apply to the corporate level management of multi unit nursing home chains. ‘‘(C) EVALUATION.—Not later than 3 years after the date of the promulgation of regulations under this paragraph, the Secretary shall complete an evaluation of the compliance and ethics programs required to be established under this subsection. Such evaluation shall determine if such programs led to changes in deficiency citations, changes in quality performance, or changes in other metrics of patient quality of care. The Secretary shall submit to Congress a report on such evaluation and shall include in such report such recommendations regarding changes in the requirements for such programs as the Secretary determines appropriate. ‘‘(A) The organization must have established compliance standards and procedures to be followed by its employees and other agents that are reasonably capable of reducing the prospect of criminal, civil, and administrative violations under this Act. ‘‘(B) Specific individuals within high-level personnel of the organization must have been assigned overall responsibility to oversee compliance with such standards and procedures and have sufficient resources and authority to assure such compliance. ‘‘(C) The organization must have used due care not to delegate substantial discretionary authority to individuals whom the organization knew, or should have known through the exercise of due diligence, had a propensity to engage in criminal, civil, and administrative violations under this Act. ‘‘(D) The organization must have taken steps to communicate effectively its standards and procedures to all employees and other agents, such as by requiring participation in training programs or by disseminating publications that explain in a practical manner what is required. ‘‘(E) The organization must have taken reasonable steps to achieve compliance with its standards, such as by utilizing monitoring and auditing systems reasonably designed to detect criminal, civil, and administrative violations under this Act by its employees and other agents and by having in place and publicizing a reporting system whereby employees and other agents could report violations by others within the organization without fear of retribution. ‘‘(F) The standards must have been consistently enforced through appropriate disciplinary mechanisms, including, as appropriate, discipline of individuals responsible for the failure to detect an offense. ‘‘(G) After an offense has been detected, the organization must have taken all reasonable steps to respond appropriately to the offense and to prevent further similar offenses, including any necessary modification to its program to prevent and detect criminal, civil, and administrative violations under this Act. ‘‘(H) The organization must periodically undertake reassessment of its compliance program to identify changes necessary to reflect changes within the organization and its facilities. The proposed settlement agreement will require CMS to revise relevant portions of its Medicare Benefit Policy Manual to clarify coverage standards for skilled nursing facilities, home health, and outpatient therapy benefits when a patient has not restoration or improvement potential but still needs the services that are provided by those types of providers. CMS is also required to clarify similar coverage standards that are applicable to inpatient rehabilitation facilities. The settlement agreement provides for input by counsel representing the class into the process of developing new manual provisions that conform with the settlement. The class action suit has alleged that Medicare routinely denied coverage based on the improvement standard. The settlement will require CMS to clarify that the improvement standard will no longer be applied to deny coverage. The people most affected by this barrier include people living with a range of conditions including multiple sclerosis, Alzheimer’s disease, ALS (Lou Gehrig’s disease), spinal cord injuries, diabetes, Parkinson’s disease, hypertension, arthritis, heart disease, and stroke. Many of these individuals who were not showing progress but still required care, and the institutions that serve them, will not be able to obtain reimbursement for services that they require.